This week, whilst wondering what a jicama is as Eggy is about that size, I've been told that my iron levels are low. I need to get back into eating green veggies a bit more. I've been a little slack recently. Partly because of cravings. They're a funny thing aren't they? They are one of the reasons that I strongly suspected that Eggy was a girl because they were so different from my cravings when I was pregnant with D. Some of the things that I really wanted with D didn't much change throughout the pregnancy - milkshakes were the most dominant but also Fanta and pic and mix. This time, it has changed a little over time. There was a weird moment or two when I really wanted a beef burger (which entirely disagrees with the fact that I hate the taste of meat) but otherwise, the cravings have been quite normal. It's been pretty dairy orientated. I talked early on about how cheese featured heavily and made 'pregnant pasta'. A lot of the first trimester was spent wanting cheese and this hasn't really dissipated. 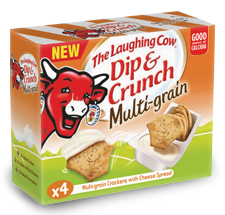 Laughing Cow (or La vache qui rit) has featured heavily - spread on fresh bread or in these little dipper pots - there was a stage where I was managing one of these when I got home from work every day. On a similar theme, cheese muffins or scones were a regular breakfast option at the weekends and I resolved to make my own. I intend to make a variation of this recipe this week. Unsurprisingly, with the heat that we've had this year - I'm reeeeeallly missing all the dresses that I could wear last year - I've been trying to find anything that might keep me refreshed. I mentioned before my desires for beer but the other drink that hasn't been far from my hand is San Pelligrino's Limonata. As a result of the sugar content, I've limited myself to only one a day. Finally, something that hasn't so much been a craving as something that has felt a really satisfying eat. Cashew Butter is something that my great aunt introduced me to as a child and something that I am pleased to have introduced my child too. To my thinking, it has a much mellower taste to it than peanut butter. Unless I'm making noodle salad, peanut butter doesn't really exist in the house. Cashew butter is great on crumpets and toast. I recently made a poppy seed fresh loaf that just cried out for toasting and spreading. 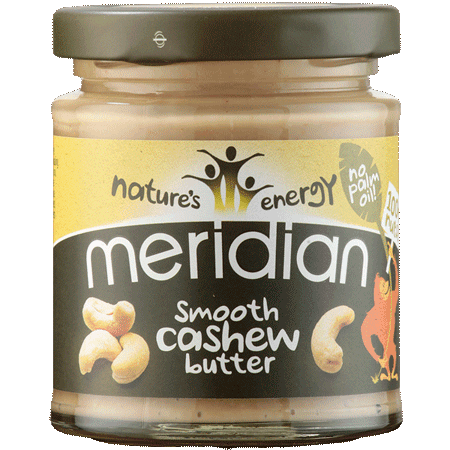 If you haven't tried a different nut butter on your toast, I strongly recommend it. Now I'm wondering if I should sneak the crunchy one into the cupboard and keep it to myself! "I'm on pregnancy number 2 at the moment. In pregnancy 1 I craved tomato things. This pregnancy I can't even eat tomatoes it gives me such bad heartburn. Also in pregnancy 1 I went completely off tea even after the pregnancy and only drank coffee, in this pregnancy I can't bear coffee unless it's iced and only drink tea! My first pregnancy was a boy, find out in 2 weeks what I'm having this time around, you'd think with having polar opposites that this will be a girl, but we shall see!" Having said that, an old school friend, Hayley told me that she had similar cravings for tomatoes - she had a daughter. "I also craved tomatoes. Before I got pregnant I hated raw tomato but I ate loads when I was pregnant. The first craving was noodles. I didn't even know I was pregnant but I just couldn't stop thinking about noodles and I went for a twenty minute walk in the rain to get some because I wanted them so bad. Also one day woke up craving a cheeseburger so I got the greasy spoon across the road from my office to cook me one at 8.30am." She isn't the only one to have been asking for food that wasn't quite in line with the time of day. Tattooed Mummy demanded hash browns at McDonalds outside of breakfast time. She was also rather fond of pepperoni. Penny of OptimumTen was a fan of lots of grapefruit and tarka dal. Mmm, lentils and garlic! @kneadwhine pork pies, marmite and whispas. I hate the first two but had them so much in both my pregnancies! Urgh! Jess of Owl Crazy Mummy blogged about her cravings but the one that most surprised me was the strawberry body wash.
My brother's fiancee admitted that she's been eating horseradish by the spoonful.. painful! She's due extremely soon which is very exciting - another cousin for D.
How about you? Any weird pregnancy cravings? Any suggestions for recipes featuring green veggies that might help to boost my low iron levels.